Suspected Islamist extremists shoot clergyman through cheeks on Christmas Day. NAIROBI, Kenya (Morning Star News) – Suspected Islamic extremists on Christmas Day shot a Roman Catholic priest on the Tanzanian island of Zanzibar, seriously wounding him, area church leaders said. Two assailants on a motorcycle shot the Rev. Ambrose Mkenda through his cheeks and in the shoulder before 8 p.m. as he arrived home in Tomondo, about four miles from Zanzibar city, capital of the semi-autonomous island in the Indian Ocean about 25 kilometers (16 miles) off the coast of Tanzania. Christian leaders suspected members of the separatist group Uamsho or “Awakening,” the Association for Islamic Mobilization and Propagation, which has threatened Christians since an Oct. 10 children’s argument in Dar es Salaam resulted in a boy allegedly defiling the Koran and key Uamsho leaders were jailed for consequent attacks on church buildings. A priest at Mpedae parish three miles from Zanzibar city, Mkenda’s condition deteriorated and he was flown to the Tanzania mainland the following day and put in intensive care. “As of Dec. 27, his health had worsened, and he was then taken to the Intensive Care Unit at Muhimbili National Hospital in Dar-es-Salaam, to try to save his life,” Mgaywa said. 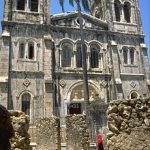 Uamsho distributed leaflets threatening church leaders in Zanzibar in October, when authorities arrested group Commander Sheikh Farid Hadi Ahmed and six others following several attacks on church buildings on Zanzibar and the mainland. The Uamsho threats have deeply unsettled area Christians, which make up a tiny minority on the majority-Muslim island, he said. Police reportedly said the assailants did not take anything from the unconscious priest. 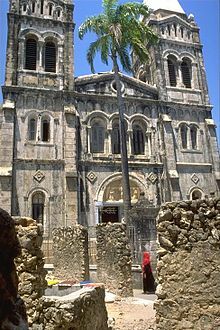 Obeid Fabian, head of the Zanzibar Pastors’ Fellowship, said the suspects have not been arrested, and that the Uamsho threats leave little doubt about who shot the priest. “The leaflets have threatening messages targeting four bishops in Zanzibar to kill them by whatever means – that includes Roman Catholic , Anglican Church, Tanzania Assemblies of God and Pentecostal Church,” Fabian said. An Islamist group fighting for full autonomy of the Zanzibar archipelago, Uamsho arose after Zanzibar’s primary opposition, the Civic United Front (CUF), formed a government with the ruling Chama Cha Mapinduzi (CCM) party in 2010.